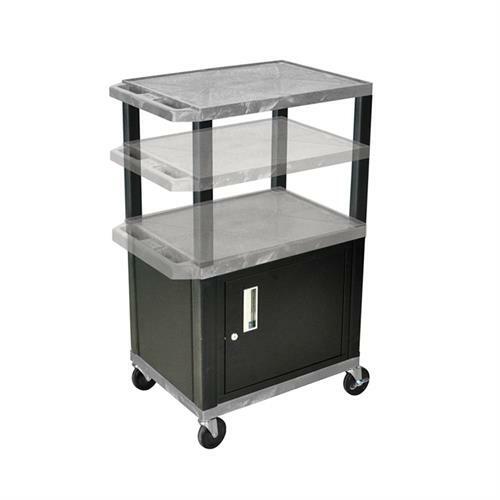 More on the Luxor WT2642GYC2E-B Gray 3 Shelf Multi Height Cart with Cabinet & Electric below. Please Note: This cart includes 26½, 34½ & 42½" legs to make a variety of cart heights during assembly only. Please Note: Picture shows possible position of top shelf. Each order will only include three shelves: the bottom of the cabinet, the top of the cabinet and the top shelf. Height: 26.00 - 42.00 in.